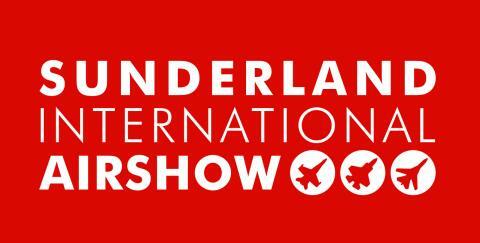 Sunderland International Airshow takes to the air for the 29th time from Friday 21 until Sunday 23 July. As well as our usual bus services in the Sunderland area, we’ll also be running some dedicated routes to make your journey easy and have staff on hand to answer your questions. This year promises to be a superb Airshow with the highlights including displays by the RAF Red Arrows, Battle of Britain Memorial Flight, RAF Typhoon FGR4 and a host of other great things to see over the weekend. You can save the hassle of finding a parking space with us and we’ll save you money too! Travel all day in the Sunderland Saver area with Go North East for only £3.65, or if you're travelling with the family, buy a Family Day Ticket, priced at just £10 on the Go North East app, giving you unlimited travel on all Go North East bus services. Our Family Day Ticket covers up to two adults and three children under 16 travelling together in a group. A minimum of one adult and one child at any time. For the latest information on what to see over the weekend, visit the Sunderland International Airshow website or follow them on Facebook and Twitter. Catch your usual Go North East bus to Sunderland’s Park Lane Interchange and then catch the A1 Express – running up to every 10 minutes from 9.35am and limited stop to Seaburn Park. Our A1 route also runs every 15 minutes on Friday 21 July from 5.30pm. Buses return from Seaburn Park up to every 10 minutes from 12.30pm over the weekend until 6pm and every 15 minutes from 7.45pm until 10.30pm on Friday evening. Catch our A2 Express from Washington Galleries, Concord Bus Station, Sulgrave Village Centre or The Peel Centre and then limited stop to Seaburn Park. Buses run every 30 minutes from Washington Galleries, starting at 9.30am and running until 1.30pm on Saturday and Sunday. Buses return from Seaburn Park every 30 minutes from 2.30pm until 6pm over the weekend. Catch our Prince Bishops 20/20A buses to The Grange at Fulwell and then walk to Seaburn Seafront or change at Sunderland Interchange onto the A1 Express to Seaburn Park. Buses on the 20/20A will be running up to every 10 minutes on Saturday daytime, up to every 15 minutes on Sunday daytime and every 30 minutes on Friday evening. The A1 zooms you from Sunderland City Centre to Seaburn Park with frequent buses over the weekend. Buses leave from Park Lane Interchange and Fawcett Street in the City Centre and then run non-stop to Seaburn Park, dropping you at the heart of the Airshow. Whether you’re changing from another Go North East bus or parking in the City Centre, the A1 is your fast and frequent way to the Airshow. On Friday 21 July, buses start 5.30pm and run every 15 minutes during the evening with the last bus leaving Seaburn at 10.30pm. On Saturday 22 and Sunday 23 July, buses start at 9.35am and run at least every 10 minutes throughout the day with the last bus leaving Seaburn at 6pm. Please note that Network One, Concessionary bus passes and Nexus Pop Card child fares are not valid on the A1 or A2 routes. The A2 flies frequently from Washington Galleries, Concord Bus Station, Sulgrave Village Centre and The Peel Centre to Seaburn Park with buses running every 30 minutes over Airshow weekend. On Saturday and Sunday, buses start at 9.30am and run every 30 minutes, with the last bus leaving Seaburn Park at 6pm. Travelling on the bus is great value, with all day travel in Sunderland starting at just £3.65 and you can buy your ticket from your bus driver or on the Go North East app. Car parking on the Seafront will cost as much as £20, so leave the hassle of finding a space and take the family on the bus for only £10 with our Family Day Ticket. The ticket covers up to two adults and three children under 16 on our services. A minimum of one adult and one child at any time. Young people can save too with a single journey for people aged 18 or under, costing only £1 or £3.80 to travel all day.